We got our information pack today, makes the holiday seem more real because everything so far has been online. 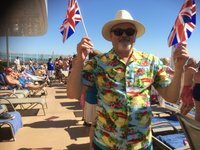 Hi jontie1949, it’s our second cruise and second time on Britannia, getting exited now. Looking for a hotel near Southampton cruise port?